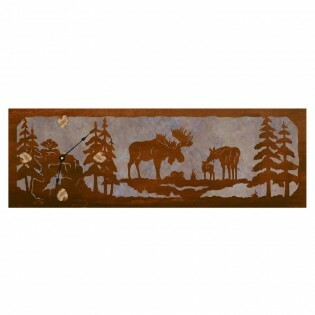 The Scenic Moose Family Clock is decorative as well as functional. 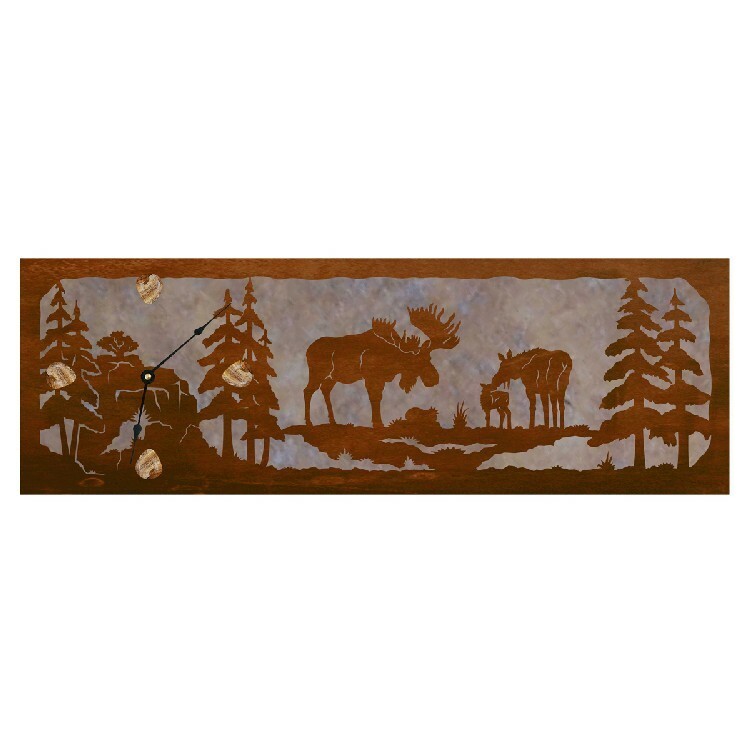 Lazar cut 16 gauge metal is cut with a moose family scene, finished with a rust patina and backed with silver mica. The 12, 3, 6 and 9 hours are marked with genuine Picture Jasper stones.